People buy noise cancelling headphones for one main reason. These are used for getting rid of sounds from the real world when you want to be fully engaged in your mobile music or videos. 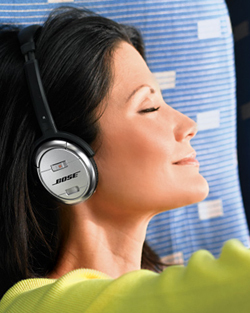 Noise cancelling headphones create anti-wave sounds to effectively cancel out sounds on similar wavelengths. This is most effective for the low rumbling sounds of a plane, train, or any other similar sound. Many have modes that will cancel out sounds of the office or library that aren’t as loud as a plane but sometimes get through a good pair of headphones. Many can also be used just to cancel out noise. No music or video needed. 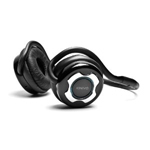 They are a good investment if environmental and ambient noise become a real problem in the work space or during travel. Whether you’re a casual music listener or an audiophile, it’s worthwhile to review the basics of sound quality so you understand the specs on the side of a headphone box. Sound perception is different for everyone. The only way you are going to know if you like something is to try it. Because everyone has different shaped heads and ears, they’ll perceive music and sound differently, especially since noise cancelling headphones pipe music directly into the ears. Hence, it’s important to try on different headphones not only to see which ones are comfortable to wear, but to get an idea of how rich and full the music sounds. 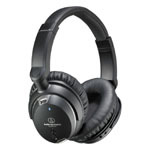 Since you are looking at noise cancelling headphones, how quiet do they really get? Does the sound come out clear with no distortions or muddiness? Is the bass clear, powerful, and controlled? You don’t want a bass so strong that it overpowers the vocals and lighter sounds. Some headphones have shaking technology that lets you feel as well as hear the thumping bass. Are the high sounds tinny or smooth? Is there a distinguishable hiss with a wireless set? A comfortable fit is almost as important as sound quality. Many modern headphones are incredibly lightweight, but make sure you’re comfortable wearing a set for times longer than half an hour. Padded surfaces are a must. Ths goes for the headband too. With circumaural headphones, you want a good seal over the ears, but make sure it’s not so tight that it puts undue pressure on your ears and head. Some headphones make your ears heat up or feel tingly if you wear them too long. Being able to adjust your headphones is critical, especially if you’re a professional who wears them a lot. The headband should adjust for different head sizes, and pivoting ear cups making getting a comfortable position easier. 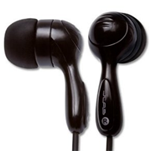 Unless they’re wireless, headphones typically come with a cord anywhere from 6 to 10 feet. Some have a Y split in the cord, with each end connecting to an ear cup. Headphones with a single-sided cord allow for more freedom of motion.